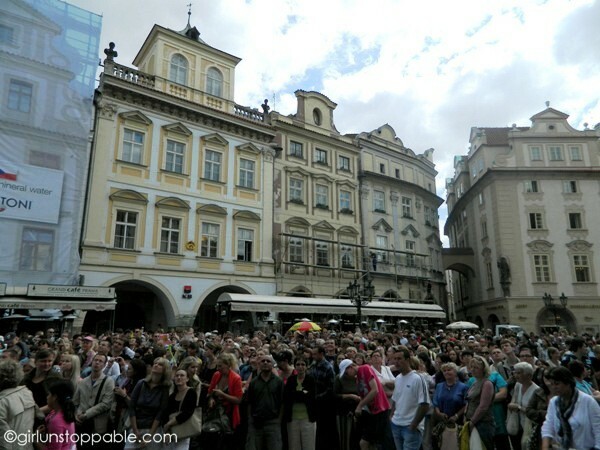 When I arrived in Prague, I had a strange sensation that I later identified as “tourist shock”. 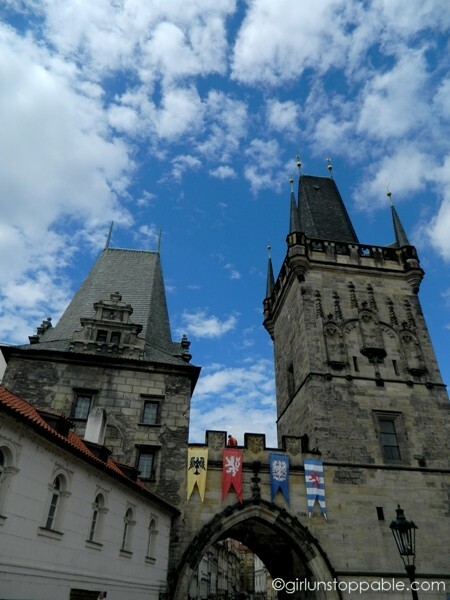 My mouth hung open as I observed the magnitude of the crowd at Old Town Square for the first time and wondered how the Charles Bridge could withstand the tourist masses. I quickly realized that my perception of “touristy” had been heavily skewed by the kind of places I’ve visited over the last few years. 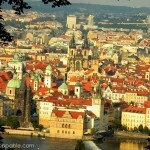 The backpacker-oriented destinations I’ve been to in Asia and Latin America really have nothing on summertime Prague. The west end of the Charles Bridge. 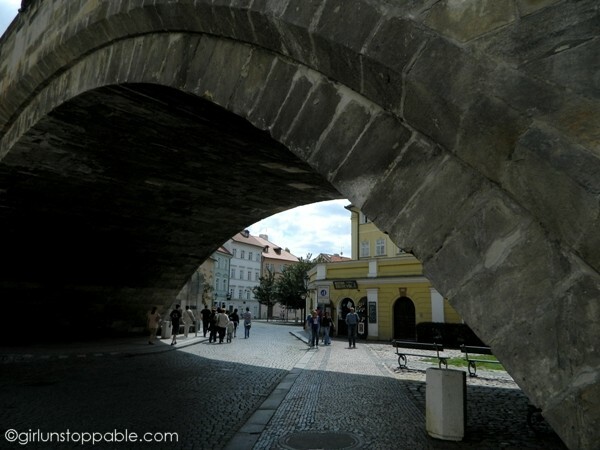 Underneath the Charles Bridge in Malá Strana, a historic neighborhood on the west bank of the Vltava river. 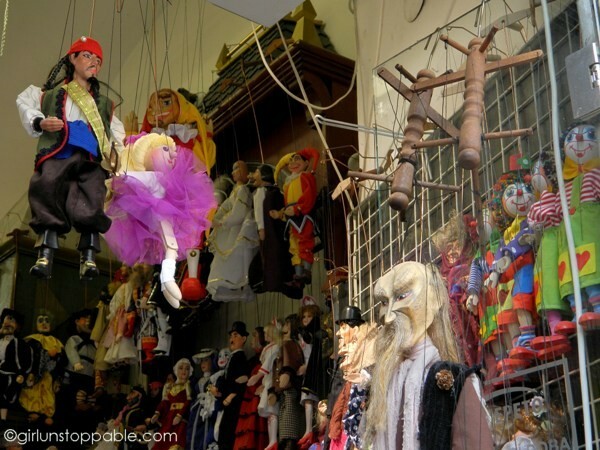 I’m not sure why, but marionettes are popular in Prague. Tourist shops are full of them. 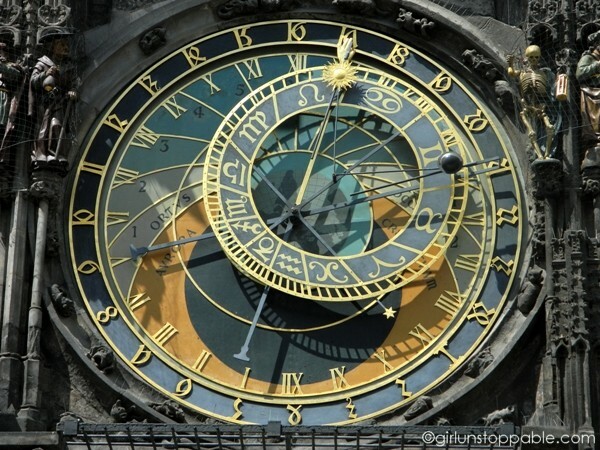 … And I was more amused when I later found out that they were looking at this, the Prague Astronomical Clock. People get excited about it because every hour, on the hour, it like, does stuff. 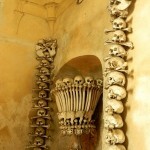 Some of the features, like the skeleton in the upper right corner, are animated. The clock itself is cool looking and an impressive 600 years old. But apparently, the animation part of it is so underwhelming that it’s earned spots on lists of most overrated attractions in Europe. That doesn’t stop people from wanting to see it for themselves. 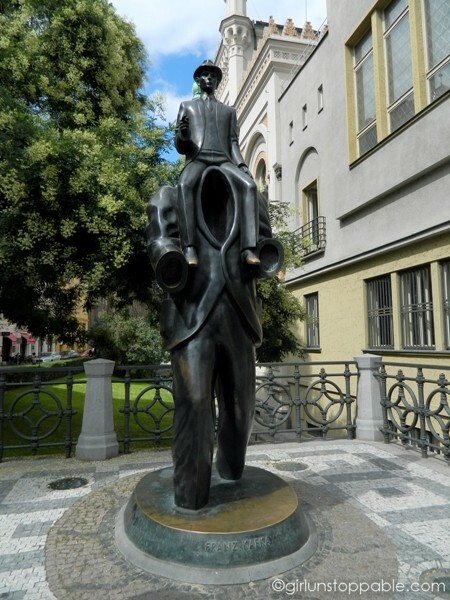 A Franz Kafka memorial in the Jewish Quarter. 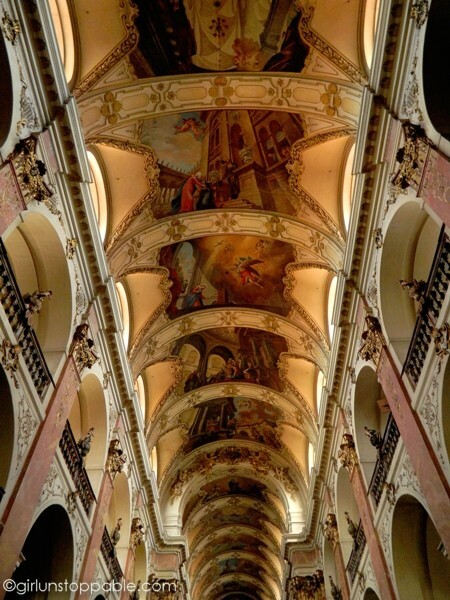 The Basilica of St. James is full of artistic detail inside and out, but that’s not what its known for. A legend tells us that a man once tried to steal a Virgin Mary statue from the church. But before he could finish his theft, the statue gripped his arm tightly and wouldn’t let go. The only option was to cut off his arm, and what is supposed to be the thief’s severed limb still hangs in the church today. 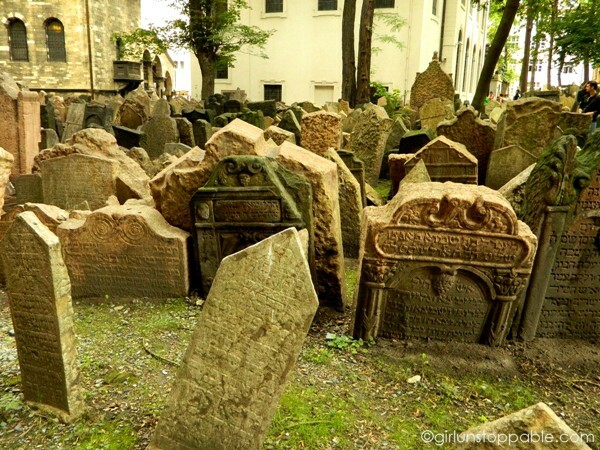 There are so many tombstones because when this cemetery was built, and for quite some time thereafter, Jews were discriminated against and given very limited space in Prague. 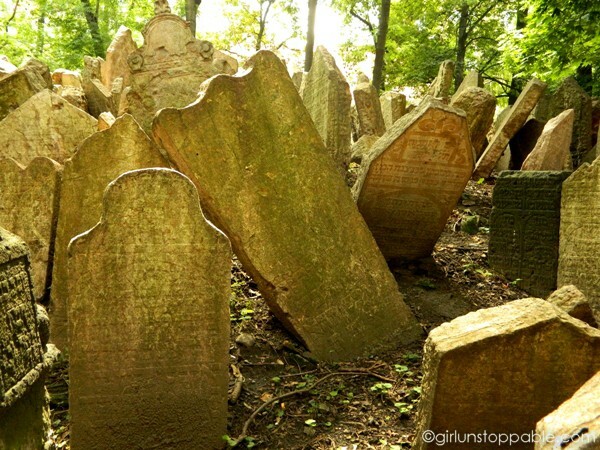 This led to graves being layered on top of other graves, as many as twelve deep. 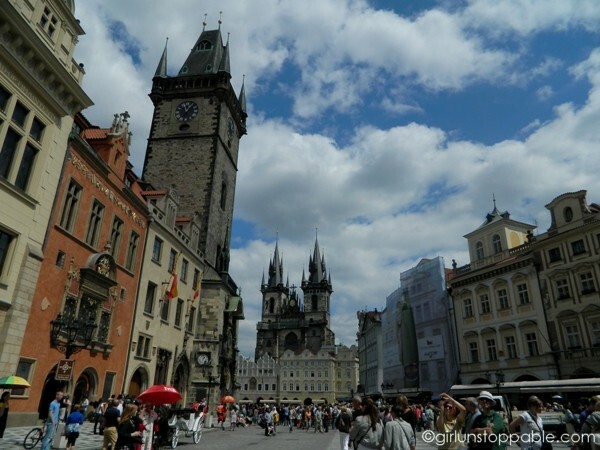 It’s clear that Prague is a city that focuses on tourism. 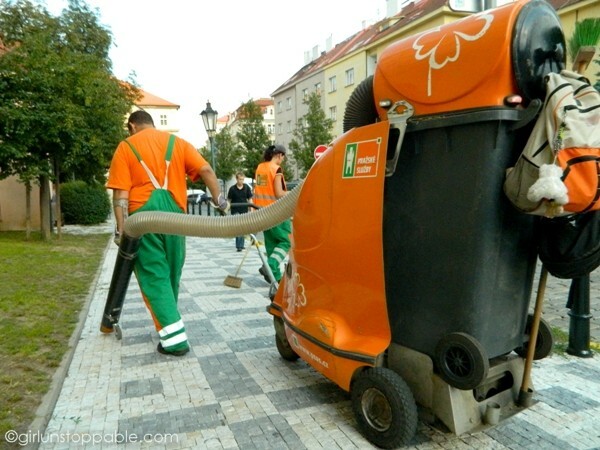 These cleanup crews with extra large vacuum cleaners were everywhere the tourists were. Great pics, I want to ask about 100 ?s on each photo. Thanks for the share. Gorgeous shots, especially of the clock! 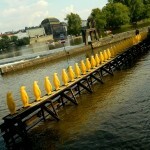 I’ve experienced Prague in Summer and in Winter. I was pretty underwhelmed the first time I saw the clock. We’d elected to sit in one of the cafes across from it to wait rather than mil around. The drink prices were seriously hiked up. It was like paying an entrance fee for the show. The second time I went was in winter. I went before sunrise to photograph it and was the only person there, other than a solitary street sweeper. The street sweeper tried to tell me something but I couldn’t understand it. Then I realized it was getting near the hour so decided to watch the clock in privacy. As i whirred to life I got excited because I could hear the mechanism, which I’d missed amongst the tourist masses. Then death rang the bell and… it stopped. That’s what the street sweeper was trying to tell me. I don’t know if it wasn’t running because if it was winter or if it was just too early. That’s too bad, but kinda funny 😛 I never tried to watch it, but it doesn’t seem like I missed anything! There’s a reason tourists flock to certain places at certain times of the year, and that’s because that’s the best time to see whatever it is they went to go and see. I remember our first trip to Europe was in the summer, and the first castle we went to was Schloss Linderhof in Bavaria. We were enamoured with the place, but when we went back the next year with friends in the wintertime, it had lost all its magic. We were really disappointed. So I’ll take the crowds any day to experience Europe at its best. I know some people love the look of a snow covered city in Europe, but prefer warmth! The weather was largely pleasant and the sky often looked amazing which something I love for taking shots of landscapes or monuments. I wish it wasn’t quite so crowded, but I was surprised to see that it was relaxing to act like a tourist for a day or two. 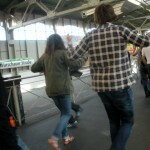 Beautiful pics, as always. 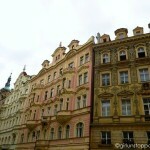 My grandmother was born in Prague in 1915 and I have never been there…Thanks for sharing! 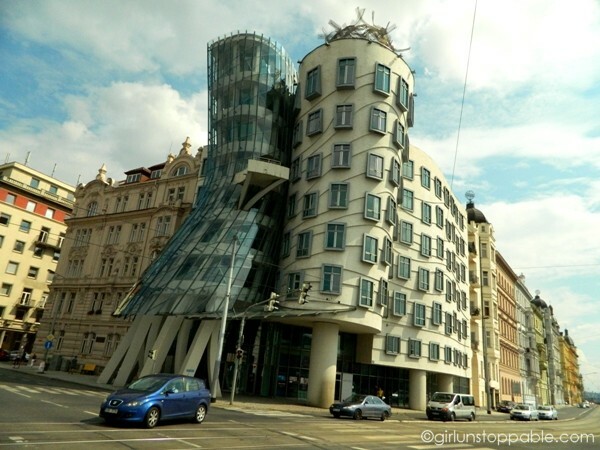 My hostel was right around the corner from the Dancing House! That hostel is also where I got 200 euro stolen (maybe by one of the employees, as we had a private room). Bah.